Silva Talks Leites and Future – UFC 97 will mark UFC middleweight champion Anderson Silva’s first title defense in six months, and he is anxious to remind the MMA world of his dominance. 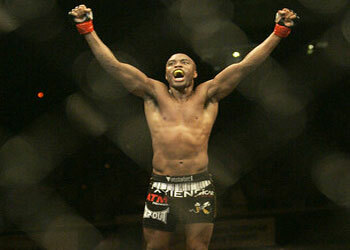 Silva will be taking on fellow Brazilian, Thales Leites, at UFC 97 at the Bell Centre in Montreal, Canada. Although Leites is young, the champ knows he better be on point if he intends to leave the Octagon with his belt.